Congo Agriculture took 48.000 hectares of land in Malolo district, considered as state owned but actually being used by locals for livestock and agriculture of local grains. It bankrupted but a new company took over with a new deal. The South African government has been preparing a national land reform to take back one third of the land owned by white families to be redistributed to black African families . This land reform is tightened to the history of the country. Under the British colonizer law and later on under the apartheid rule, millions of Black people were made landless. By 1994, at the end of the apartheid, whites (10% of the population), owned 90% of the land. That is the underlying reason motivating the successive governments of the African National Congress to commit to redistribute 30% of the country’s agricultural land by 2014 [2, 3]. By 2009, and while the land reform was approaching in South Africa, several other Sub-Saharan countries’ governments were offering large-scale land-deals to white South-African farmers, in order to enable their countries to become less dependent on food imports. This was perceived as an opportunity for white farmers to expand their business elsewhere than in their own country where land became a scarce and disputed resource. The government of the Republic of Congo (Congo-Brazzaville) was hoping that the south-African farmers would encourage the blossoming of Congolese agriculture thanks to their financial and modern means. The Republic of Congo annually imports between 100 and 120 billiards of FCFA francs in food products . The South-African government worked actively with Agri South Africa, the major cooperative of white South-African farmers, to negotiate land-deals with other sub-Saharan governments . The white south-African farmers arrived to Congo-Brazzaville by the end of the year 2011, all merged under the company Congo-Agriculture. There were 28 south-African families who settled down in the department of Malolo, with a total of 48,000 hectares of arable land being leased to them in Malolo department. Yet the interests for the farmers who settled down in Congo-Brazzaville, seemed to be diverging from the government’s expectations. The farmers expressed their willingness to grow tropical fruit, that represents more profits for them than local grains, since it is meant to be exported to Europe [5, 6]. Locally, in the lowland of Dihesse (department of Malolo), the land-deal negotiated by the Congolese government triggered several discontents. The government considered the 17,000 hectares being leased in Dihesse as empty lands, but they were not quite so. The land in Dihesse was already occupied by local farmers and pastoralists . What is more, Congo-Agriculture did not commit to the social obligations it was supposed to fulfil in exchange of the land lease. If when first arrived, the south-African farmers were being complimented for setting up water drills, enabling locals to have running water, the company Congo-Agriculture did not contribute to the construction of schools, medical centers, cultural and sportive infrastructures, nor did it equip the local pharmacies [7, 8]. Last but not least, Congo Agriculture did not achieve the stated goals concerning jobs for locals. The few locals hired by Congo Agriculture complained about hard working conditions, and low salaries . Project Details In March 2011, the Congolese government signed a convention with Agri South Africa (Agri SA). Agri-South Africa is an association that represents between 35,000 and 70,000 white South-African farmers . The convention leased a 25 years concession of 80,000 hectares of state-owned land to the company Congo Agriculture . In the Niari department were concerned 63,000 hectares at Malalo II and 17,000 hectares at Dihesse . During their first year in Malolo, by April 2012, 1,200 hectares were deforested by the farmers who seeded maize and also planted 80 hectares of soy . 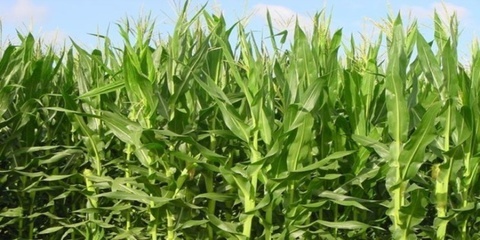 By 2013, the south-African farmers managed to produce 2.100 tons of maize. Congo-Agriculture sold the maize to cattle breeders. Among its clients there were the companies Barreto and Coddipa . This illustrates that the original motivation of the Congolese government to sign the land-lease with Congo-Agriculture, meaning reducing the country’s dependence on food imports, was not satisfied. Congo Agriculture finally bankrupted. According to independent academic research most of the farmers were lacking enough financial means to exploit their attributed plot . Twenty out of the 28 families that originally settled down in Malolo district left. The 8 remaining families founded the company Todi Rivers Farm. By 2015, this new company was negotiating a new contract with the Congolese government, for a land lease surrounding the village of Malolo II . In December 2017, Todi Rivers Farm signed a 60 years long lease with the Congolese government, for 40.000 hectares. The south-African farmers expressed to be willing to produce maize, rice and beans . Congo Agriculture from South Africa - Congo Agriculture, owned by 28 South African white farming families that originally initiated the agrobusiness project in Malolo district. Why? Explain briefly. According to Bloomberg News, the Democratic Republic of the Congo revised a law that limited foreign ownership of projects to less than 50% - the exact figure is to be announced September 2013. This will make it easier for foreign companies to purchase land and operate. Finally Congo Agriculture bankrupted but still a new company took over, although in a different location of Malolo district. Other Comments According to one source published June 10th, 2013, after three farmers were suspended pending disciplinary hearings following allegations against locals, Congo Agriculture changed their name to †œCongo Farmers†™ Association†, elected Mr. Willie du Plessis as chairperson, and Mr. Fred Daly as deputy chairperson. Details about this case are vague.